View Cart “All About Martin Luther King, Jr.” has been added to your cart. In All About Amelia Earhart, readers ages 9 years to 13 years old will learn about this brave woman who accomplished many things unusual for women at that time. Amelia Earhart gained world fame as the most skilled pilots of her age. As a daring and courageous aviator, she was the first female pilot to fly solo across the Atlantic Ocean. She also established many records during the early years of flying. Although flight would always be closest to Amelia’s heart, she had many other interests that were special to her too. She was raised to be sympathetic to the needs of others and was generous with her time and money. She was a social worker, an author, a clothing designer, and an educator. In fact, Amelia Earhart taught students at Purdue University about aerodynamics. Most importantly, in all of her pursuits, Amelia worked hard to promote the rights and equality of women. As a public speaker, she would talk about their rights. Amelia proved that female pilots were just as capable and courageous as male pilots.She was ahead of her time, and her views would become common across the country. In fact, her achievements made her an important part of our history. 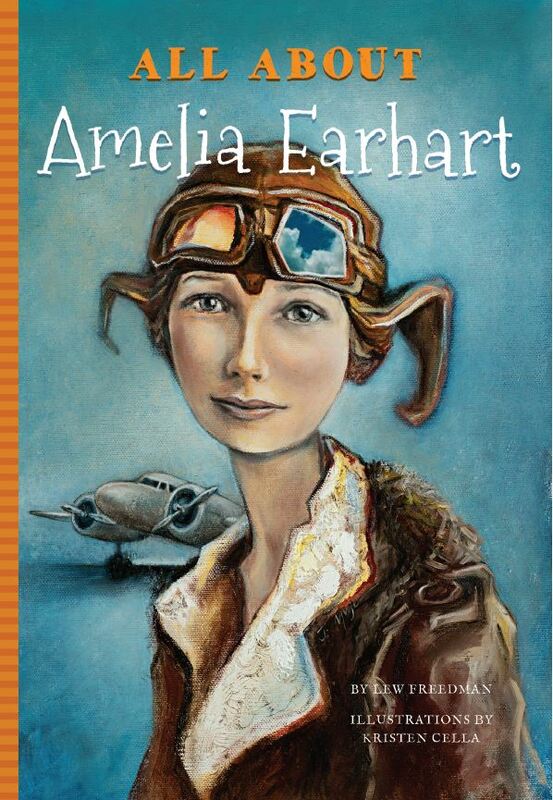 All About Amelia Earhart is illustrated throughout. It is written for children in grades 4th through 8th. Click here to receive a complete Teacher Guide for All About Amelia Earhart. Kristen Cella is the illustrator for All About Amelia Earhart. She obtained her BFA from Northern Illinois University. Kristen has been a full time illustrator since 2009, and currently resides in Chicago, Illinois.